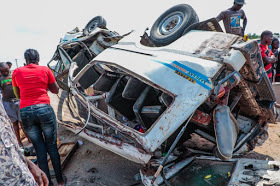 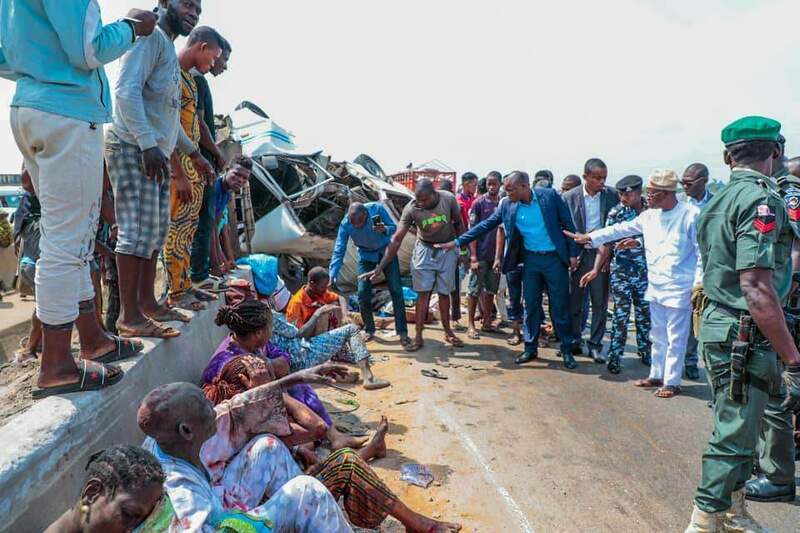 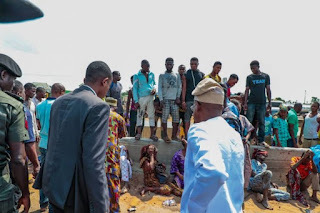 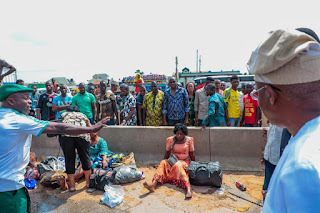 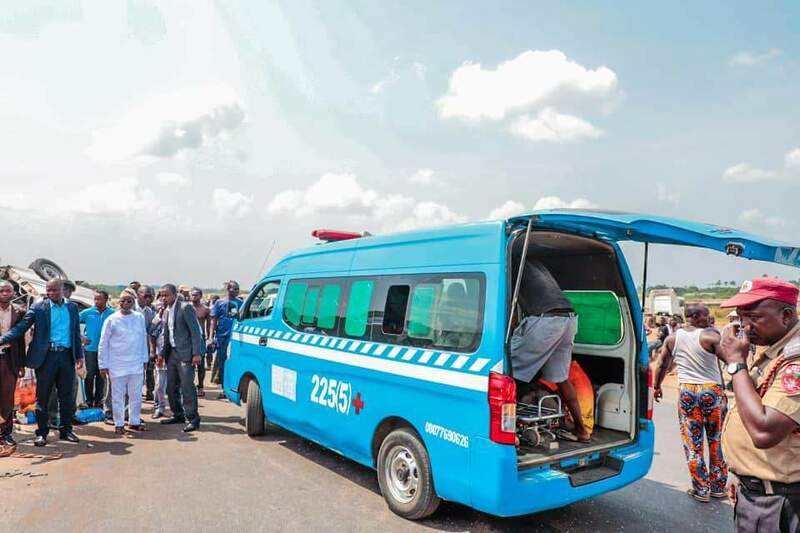 No fewer than twelve people who sustained various degree level of injuries in auto ghastly accident which occurred along Ibadan-Lagos Express Road were on Sunday rescued by Ogbeni Isiaka Gboyega Oyetola, Governor of Osun State. Oyetola was on his way to Lagos when his convoy met the victims at the scene of the accident riddled in pains and he immediately ordered that the convoy be stopped to attend to the accident victims. 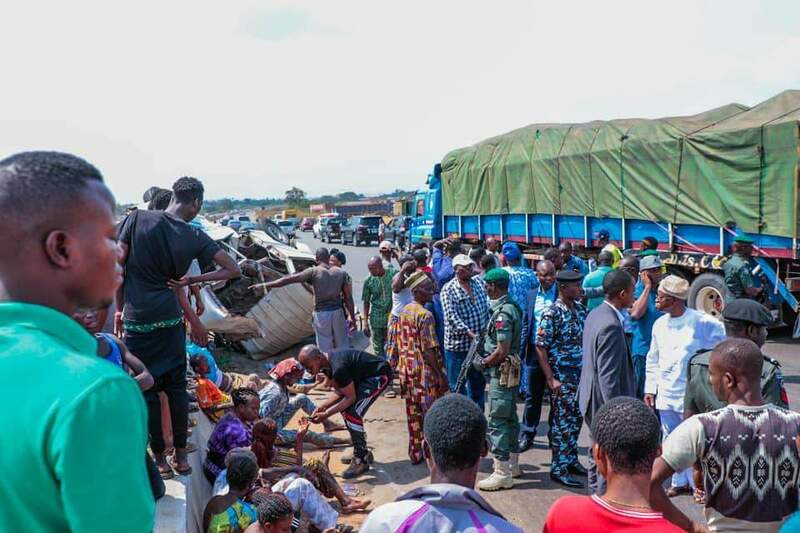 The accident occurred at Sagamu end of the Ibadan-Lagos Express Road in Ogun State at about 12.30pm. 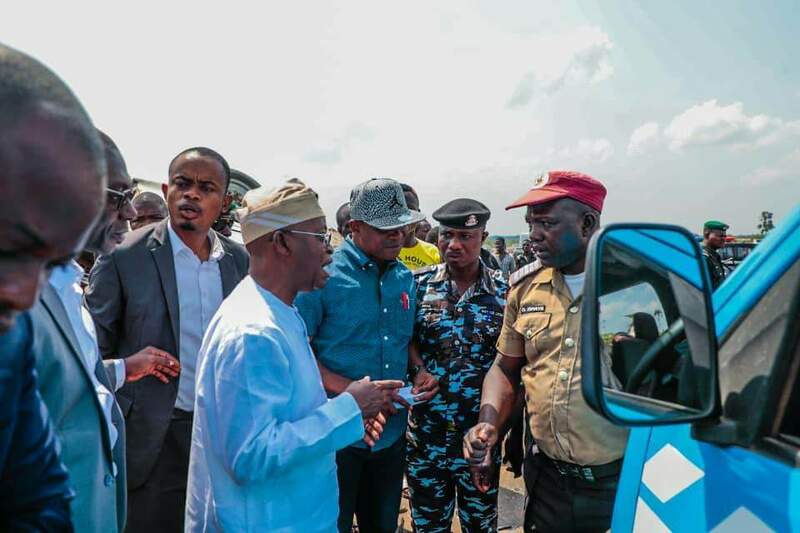 Oyetola on arrival at the scene blighted from his car and join the rescue team who had been assisting to rescue the victims. 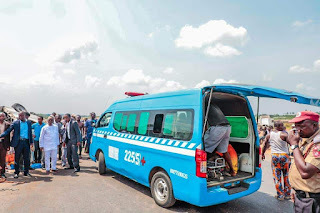 Oyetola also helped to call for an ambulance to take the victims to hospital. The accident involved a Toyota corolla black and Commercial Mazda 12 seaters bus. The commercial bus was said to have somersaulted several having lost control. 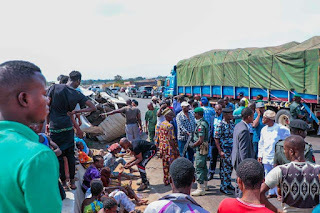 Details about the cause of accident was still sketchy as at the time of filling this report but it was gathered that it was due to lost of control by one of the vehicles involved.